This post first appeared on the skirt! Charleston blog. 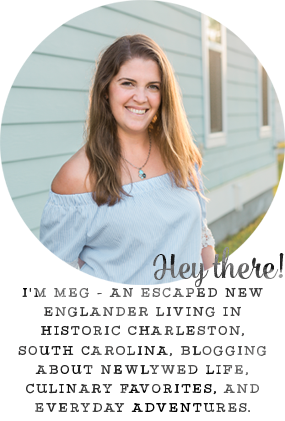 Head over to see guest posts from members of the Charleston Blog Society contributors each Tuesday! 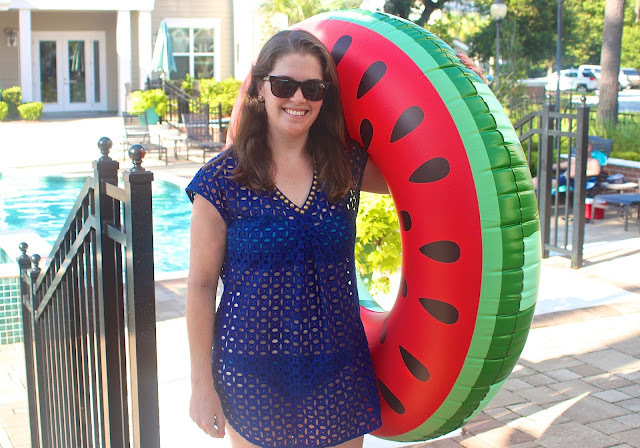 So, many of y'all know I'm originally from New England, and while I miss the seasons of the Northeast, I have a serious love affair with summer. It has the best weather, clothes, food, and drinks. Whether it's by the pool, at the beach, or on the golf course, I could spend every summer day outside. Today, I'm excited to share with y'all the perfect complement to any summer afternoon: fresh watermelon sangria. This is definitely my go-to party drink; with just a few ingredients, you can have a whole pitcher filled with delicious summer flavors. Please note that the following recipe is only intended for readers who are 21 years of age and older. 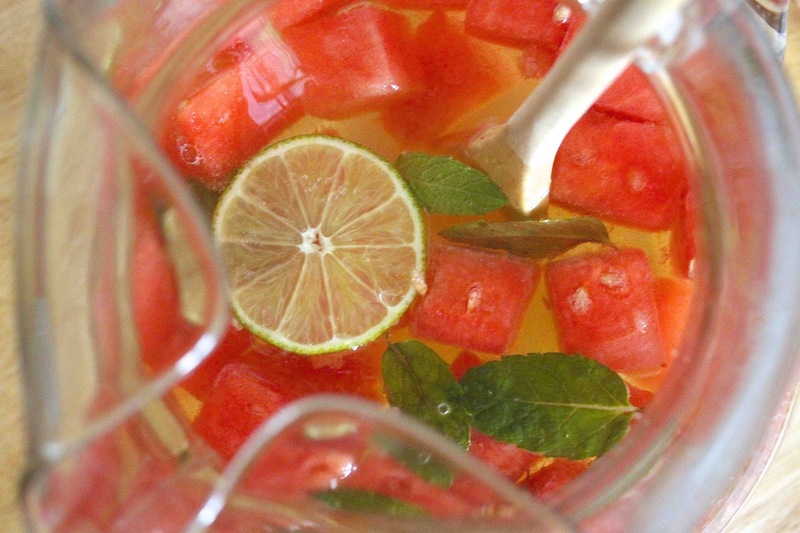 All you need to make your own fresh watermelon sangria are: 2 cups cubed watermelon, 8-10 fresh mint leaves, 2 limes (one sliced, one juiced), 1 bottle of white wine (I used chardonnay), and 1/2 cup of watermelon vodka. 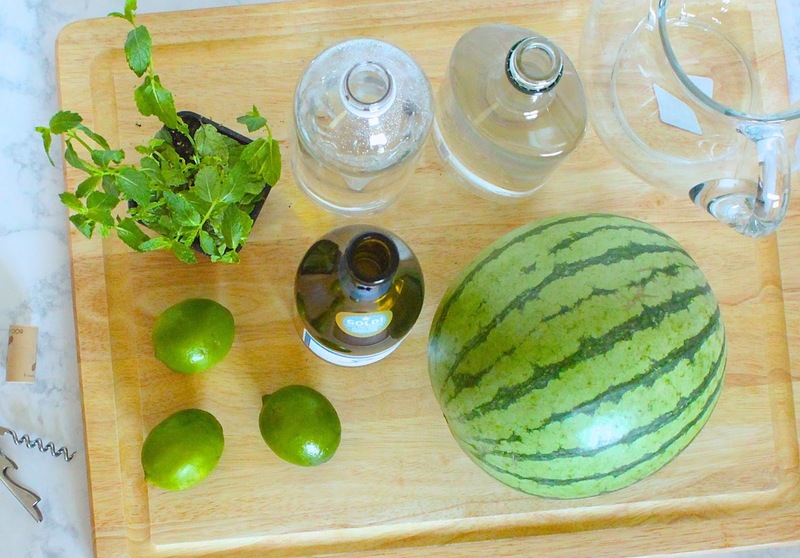 Simply combine all the ingredients in a pitcher, stir it up, let it sit in the fridge for an hour for the flavors to meld, pour it into some plastic glasses, and add a cute straw to enjoy by (or in!) the pool. 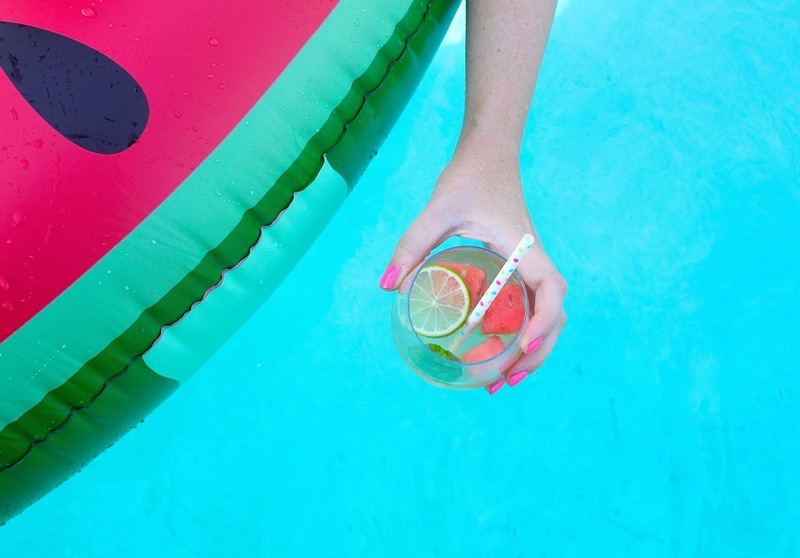 I love how refreshing this cocktail is on a hot day, and it has just the right buzz! Now wouldn't this be the perfect addition to your summer weekend? Or, you can pin the image below for later! Only 4ish weeks until I can enjoy this haha! 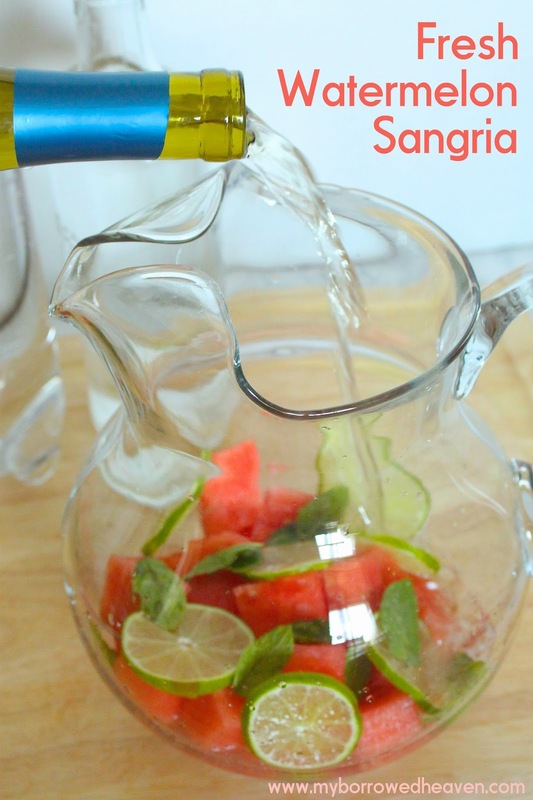 I love sangria and have never made it with watermelon, sounds so refreshing, especially with the mint! Oh my goodness sounds and looks so delicious and refreshing! This sounds delicious! Very refreshing! This looks so good! I can't wait to try it for one of our summer parties. Yum yum yum! 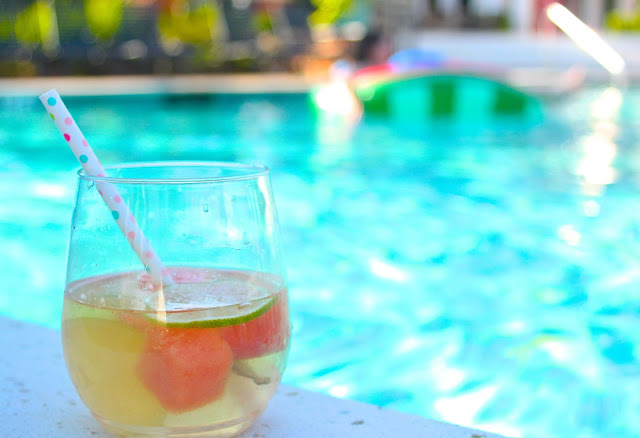 You had me at sangria. 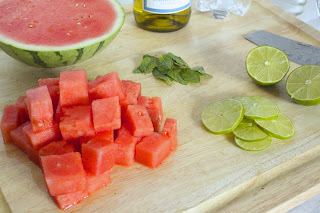 And watermelon? 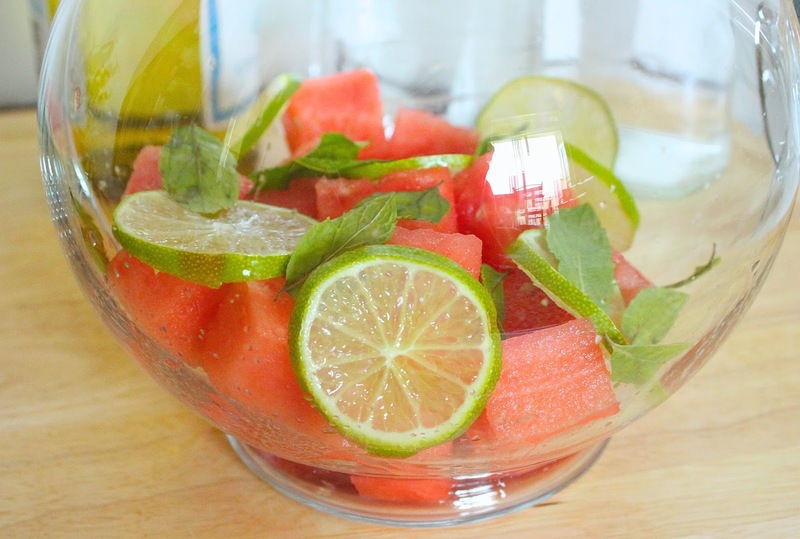 This sounds absolutely delicious and perfect for a hot summer day! Oh yum! This looks so refreshing!